As a volunteer hospital chaplain, I find one of the most prominent struggles between the world of the dying and the world of the living is communication. 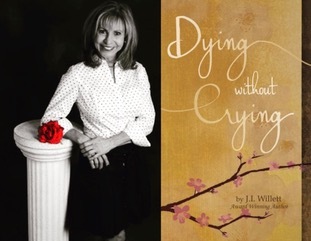 Because the language of the dying embraces physical cues as well as verbal, many times family, friends and caregivers are missing important opportunities to understand and connect. For example, while the dying are communicating “I’m preparing for death” by rejecting food or drink, the living are offering words of encouragement for nourishment in order to gain strength for healing. Herein we are confronted with the ardent task of having the difficult conversation to guide the living from the state of denial, the cheerleader role, to confronting the death of their loved one. As a Chaplain, our goal is to assist the living in acknowledging their fears, and to help them handle and make sense of not only of the death of their loved-one, but also to discuss how this event causes us to face our own mortality. I sometimes use the quote “we’re all traveling down the same road, we just arrive at different times” which seems to make sense to most. It is often difficult for those who will be left behind to imagine a world without their loved one. This is where we try to move them beyond their fears by speaking about their memories, good times and bad, which promotes the realization that although a loved one dies, their memory lives on. Once this “natural divide” is united, the patient and their loved ones can begin their grieving process through verbal and/or physical expression ... beginning their healing process through facing death together, expression of love, meanings of their relationships, past experiences and forgiveness where needed. There is nothing more important and more rewarding than bridging the “divide” and having the honour of facilitating a good death experience for all.